Putachieside blended Scotch whisky was first bottled in the early 20th century as a 12-year-old Liqueur (blend) at 75º proof (37.5% abv) before the 1972 takeover of Wm Cadenhead Ltd by J. 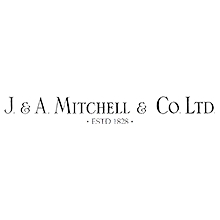 & A. Mitchell Ltd.
Later bottlings, which contained a high proportion of malt, increased the proof to 40% or 43% abv depending on the market. A 25-year-old expression was introduced in the 1980s. Putachieside was the area of Old Aberdeen in which Wm Cadenhead Ltd was established in the early Victorian era. Indeed, the labels for the Putachieside blend carry an evocative etching of the lost area, later known as Carnegie’s Brae, including the Wallace Tower. The area was eventually cleared through the construction of Union Street and later New Market Street in the 1840s. The Putachieside blend was the brainchild of Robert Duthie, who took over Wm Cadenhead in 1904 and began to vat and blend malts. In 1972 the company was bought by J. & A. Mitchell Ltd of Campbeltown and production of the brand was moved there until it was withdrawn in the late 1990s.